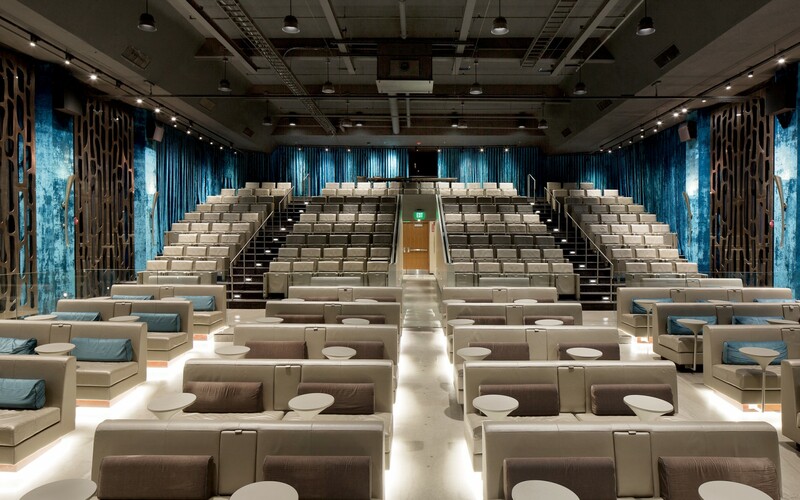 The new Revere Hotel is the result of a $27 million makeover, which included the hotel’s Theatre 1 (previously known as the Stuart Street Playhouse). 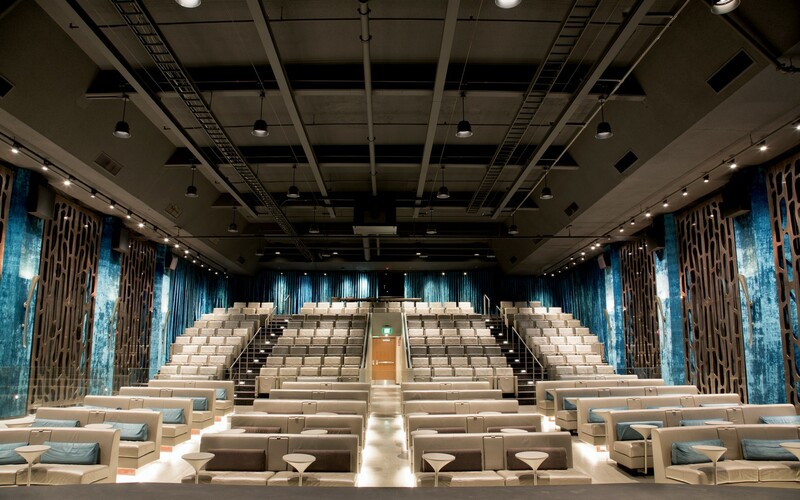 The renovation called for a complete redesign of the 208-seat venue, which had once been a movie theater. The theatre was formerly lit by big metal halide box fixtures, which had created a dingy, bluish quality of light. Lighting design firm Sladen Feinstein was brought in to brighten up the space with a modern, flexible lighting scheme. The firm turned to Lumenpulse's LED technology, which provided the right mix of durability, flexibility and performance. 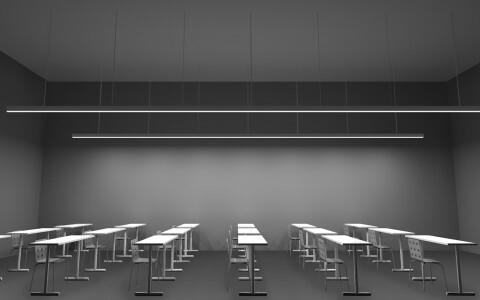 The new design uses Lumenbeam Large pendant luminaires, allowing for full dimming capability. To conceal the equipment out of sight, the luminaires were painted black and accessorized with snoots. The angled snoots also help to limit glare, which had previously been a problem at Theatre 1. 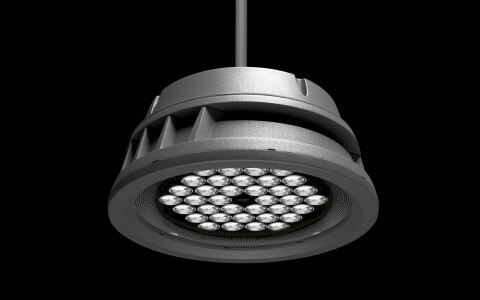 The 100W luminaires have greatly reduced energy consumption and maintenance costs. 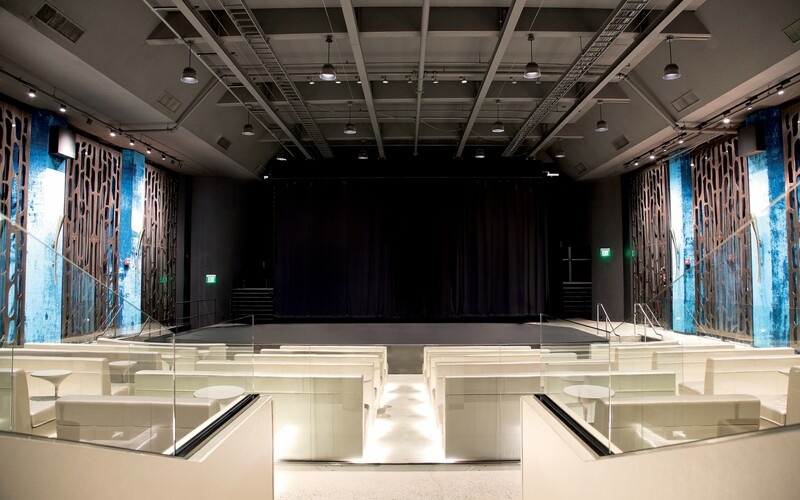 With full dimming capabilities and separate zones of control, the new lighting design has turned Theatre 1 into a modern, multi-functional performance and event space. 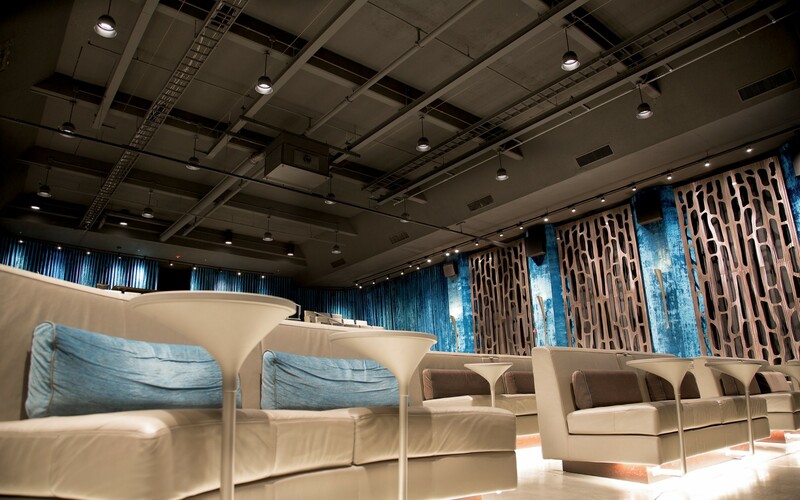 Using Lumenbeam Large Pendant luminaires, design firm Sladen Feinstein Integrated Lighting Inc. has given the Revere Hotel's Theatre 1 a flexible, modern lighting design, with full dimming capability and separate zones of control. The Lumenbeam Large Pendant met all our criteria for this project. It had the right light output and lamp life, it was dimmable and it just aesthetically fit into the environment. 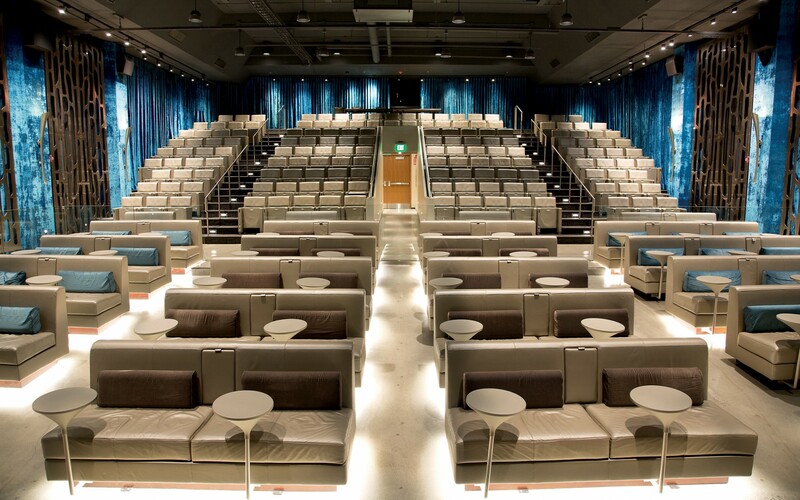 Owned and operated by Northwood Hospitality, Boston's Revere Hotel has undergone an ambitious $27 million makeover, with a full renovation of the hotel's Theatre 1. 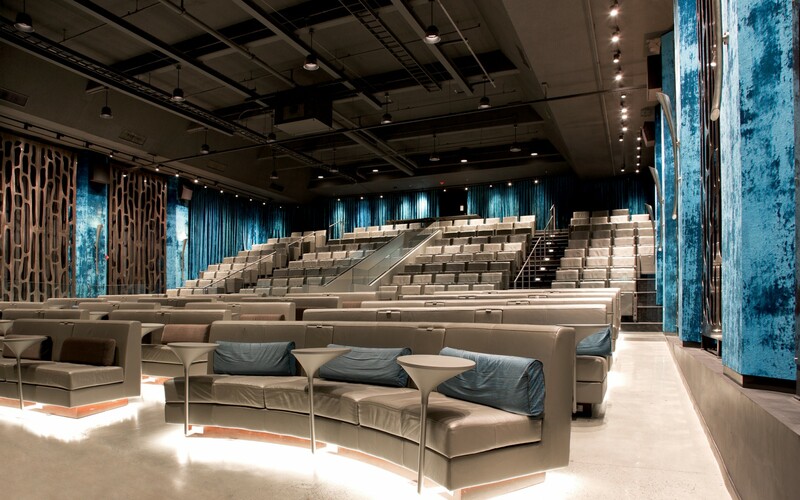 Formerly a cinema, the 208-seat theatre was once lit by antiquated metal halide box fixtures, which created a dingy, bluish quality of light and severely limited the space's functionality. 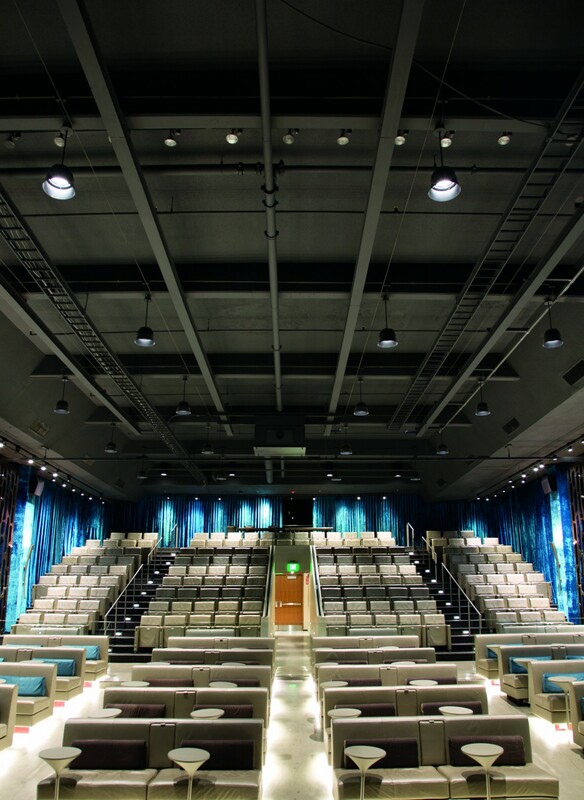 In order to transform Theatre 1 into a bright, multi-functional space - capable of hosting theatrical productions, concerts, conferences and even student examinations - the hotel turned to design firm Sladen Feinstein Integrated Lighting Inc.
"The overall design concept was to provide as much flexibility as possible," said Julie Rose, Senior Lighting Designer at Sladen Feinstein. "We had to provide high light levels, at least 30 foot candles, but we also had to give the theatre the ability to bring those levels down. 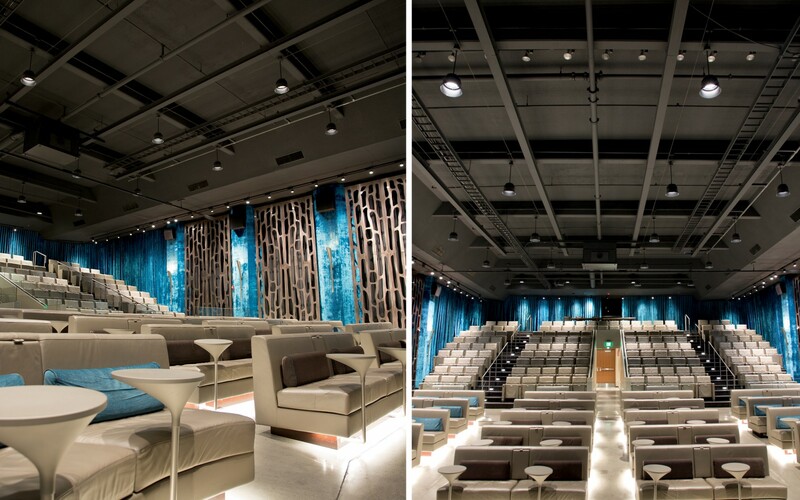 Dimming is essential for performance spaces, and it has to be seamless and smooth," she said. To achieve this mix of flexibility and performance, the firm turned to Lumenpulse LED technology. "Lumenpulse is a go-to for us. The fixtures are very durable, and they provide great color and consistency," Rose said. Sladen Feinstein used 50W Lumenbeam Large pendant luminaires, which improved light quality and flexibility, while reducing energy consumption and maintenance costs. 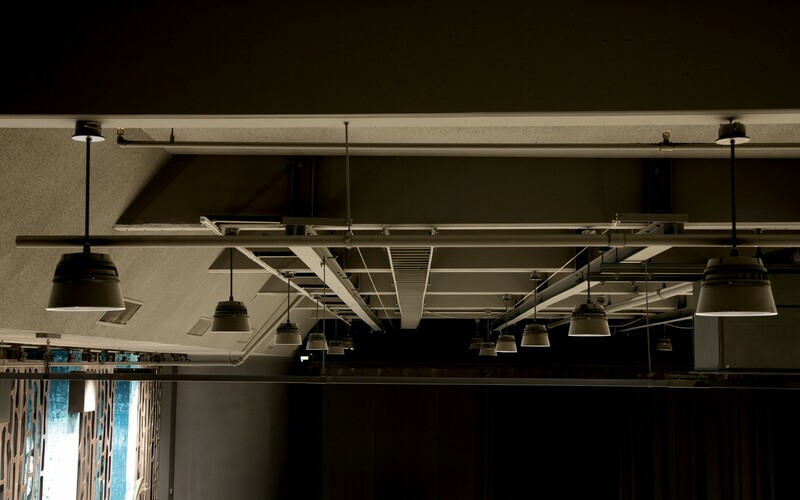 "The Lumenbeam Large Pendant met all our criteria for this project. It had the right light output and lamp life, it was dimmable and it just aesthetically fit into the environment," she said. 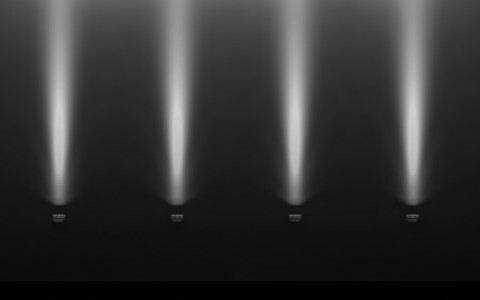 In order to be as inconspicuous as possible, the luminaires were painted black and fitted with angled snoots, which also provide an extra layer of protection against glare - an issue that marred the theatre's previous design. "The new fixtures have great glare control. They have a beautiful quality of light, but you really can't tell they're on from an angle. 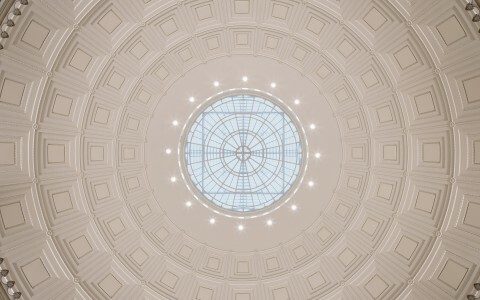 You have to be right underneath them, looking up at them to see the brightness," Rose said. 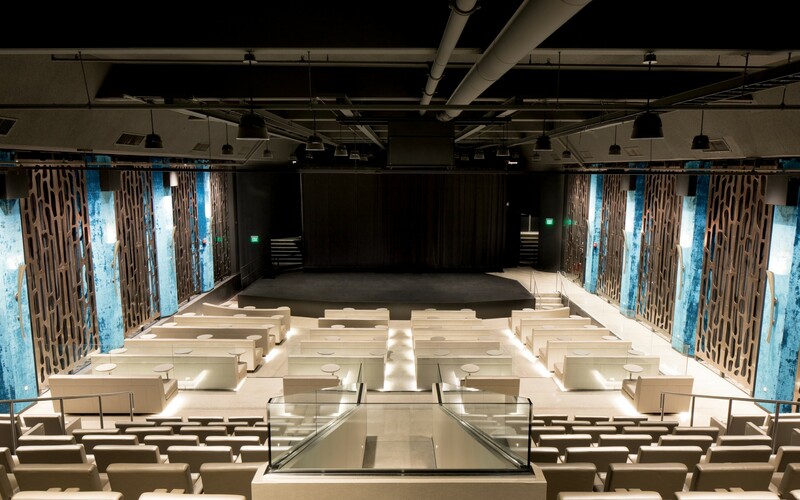 Adding flexibility, control and full dimming capability, the end result has revitalized Theatre 1, creating a modern, multi-purpose performance space for the 21st century.